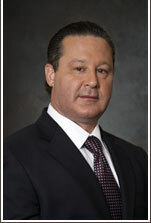 Jeffrey E. Foreman is a founding partner and principal of the firm. He has extensive trial experience and specializes in the litigation of complex civil matters including commercial, admiralty and maritime, personal injury, medical negligence, employment and intellectual property matters. Mr. Foreman practices in both federal and state courts and has numerous published opinions. Mr. Foreman is regularly called upon to deal with complex issues that arise prior to or during the course of litigation. He is passionate about each matter that he handles and is a zealous advocate. His attention to detail and ruthless trial cross examination skills resulted in a verdict that was recognized by the National Law Journal in its 2008 article “Winning”. He was also recognized by the South Florida Business Journal for Best Defense Verdicts in 2004. Mr. Foreman is a tireless worker that is always available to assist his clients and colleagues. Mr. Foreman also has extensive experience in negotiations, arbitration and mediation and is a court-appointed arbitrator in Illinois. Before moving to Florida, Mr. Foreman founded a highly successful private arbitration and mediation company in Chicago. Mr. Foreman is an avid skier, fisherman and boater. 2012 "Top 1% Trial Counsel for Medical Malpractice-Defendant Attorney's in Florida"